Rev. Russell Vaughn Howard of San Angelo serves as the Texico Media Missions Director. Digital downloads for Texico District Youth Camp 2018 are now available! Click on the icon above to order. 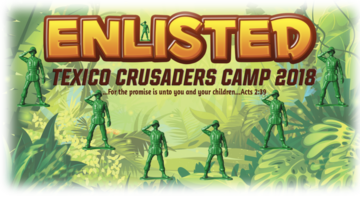 Digital Downloads and limited DVD sets for Texico District 2018 Crusader Camp are now available! Click the icon above to order.